Environmental studies – ΑΤΤΙΚΟ ΜΕΤΡΟ Α.Ε. Section A of Athens Metro Line 4 has been environmentally approved via the Ministerial Decision 9724/21-5-2018: Approval of Environmental Terms about the Environmental Licensing of the Athens Metro Line 4 “Alsos Veikou – Goudi Section”. This Environmental Impact Assessment Study (EIA) was compiled in line with Law 4014/21.9.2011 (Government’s Gazette – FEK Α’209/2011), the recent Ministerial Decision M.D. No. ΔΙΠΑ/οικ. 37674/2016 (FEK 2471/Β/10-8-2016) and the relevant M.D. No. οικ. 170225 (FEK 135/Β’/27-01-2014) that determines the specialization of the content of the envelopes pertaining to the environmental permit of projects and activities that fall under Category A’ of the decision made by the Minster of Environment, Energy and Climate Change No. 1958/2012 (Β΄ 21), as in effect. In accordance with the aforementioned legislation as regards the classification of public and private projects and activities into categories, the project under study concerns a design of a Metro Line, it is incorporated into the projects and activities of the 1st Group, “Land and Air Transport Projects” ® Fixed Route Projects ® Metropolitan Railways (Metro)” and it corresponds to Sub-Category Α1. It is stressed that the location of this Metro Line is provided for by Law 4277/2014 (FEK 156/Α/1-8-2014) of the new Athens / Attica Regulatory Plan – Article 30 and Annex XIV as A Primary Network to provide services in the metropolitan region in the framework of the transport policy specialized objective. Section A of Line 4 under design is approximately 12.8 km. long, it includes the Connecting Tunnel of Line 4 with Lines 2 and 3, approximately 711.25m. long, the Access Tunnel and the Trains Stabling / Maintenance area in Katehaki, approximately 606 m. long. 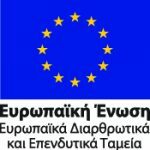 Τhe Project includes fifteen (15) underground stations (Alsos Veikou, Galatsi, Elikonos, Kypseli, Dikastiria, Alexandras, Exarchia, Akadimia, Kolonaki, Evagelismos, Kaissariani, Panepistimioupoli, Ilissia, Zografou, Goudi), nine (9) intermediate and/or terminal shafts (EYDAP, Veikou, Washing Plant – Maintenance, Vivliothiki, Evangelismos Turnout, Formionos, Near East, Dikaiosynis, Katehaki TBM, GNA). In the frame of this assumption (as regards Section “Α”: “Alsos Veikou” – “Goudi”), due to the change in the dimensions, layout and the use of Veikou Shaft, the beginning of the Project is situated at K.P. 10.000. The alignment of Veikou forestation takes into account the future extension of Line 4 (Section E towards Petroupoli). The Project ends at “Katehaki TBM Shaft” at K.P. 22786.073. The connection of the Connecting Tunnel with the main Line 4 and with the existing connecting tunnel of Lines 2 and 3 is effected through Amerikis Trumpet and Ethnikos Kipos Trumpet respectively. The south-western branch of Line 5 is connected with Line 4 via two single tunnels that will end at “Akadimia” Station through the “Akadimias Trumpet”. Similarly, post “Evangelismos” Station, through “Evangelismos Trumpet”, two single tunnels will run in the future towards Pangrati Station, wherefrom, via a double-track tunnel, they will end at Ano Ilioupoli. In both cases, there will be an underground grade-separated branching between one out of the two single tunnels and Line 4 in the section Exarchia – Akadimia and Evangelismos – Kaissariani respectively. Based on this layout, the three central stations “Evangelismos”, “Kolonaki” and “Akadimia” will be common for both Lines 4 and 5. The subject section will be served by the depot and the Running Sheds at Sepolia, the underground train maintenance and washing plant building (shaft) in Veikou area, the area intended for failure repair checking, as well as the rolling stock light maintenance facilities (Katehaki train stabling tunnel, GNA Shaft). It is estimated that the Section A’ of Line 4 will serve at least 341,000 passengers on a daily basis in 2030. De-congesting existing central Metro Stations (Syntagma, Omonia, etc.) from the ever-increasing ridership demand. Finally, a new branch of the line to form grade-separated railway connections with the main branch of Line 4 will be directed from Evangelismos to Pangrati, Vyronas and Ano Ilioupoli, to form – in essence – a section of the future Line 5 to be most probably extended in the future as a reverse “U”, while the three (3) central Stations – Akadimia, Kolonaki and Evangelismos – will be common in both lines. The 1st Station – “Alsos Veikou” – is located on Veikou – Omorfokklisias Avenue adgacent to the junction with Tralleon Street. The 2nd Station – “Galatsi” – is located at the junction of Veikou Avenue with Galatsiou Avenue. The 3rd Station – “Elikonos” is located at the junction of Aghias Glykerias Street with Parnithos Street in the Municipality of Athens, adjacent to Elikonos hill. The 4th Station – “Kypseli” – is located in Kypseli Square. The 5th Station – “Dikastiria” – is located in an un-built area to the west of Courts buildings complex. The 6th Station – “Alexandras” – is located in an un-built area at the junction of Alexandras Avenue with Moustoxidi Street. The 7th Station – “Exarchia” – is located in Exarchion Square. The 8th Station – “Akadimia” – is an important transfer station with a direct underground connection with “Panepistimio” Station of Line 2. It is located underneath Akadimias Street, in the area of “Trilogia” buildings, between the central building of Athens University and the City of Athens Cultural Center. The Line continues with the 9th Station – “Kolonaki” – in Kolonaki Square. The 10th Station – “Evangelismos” – is located next to the existing station and within the adjacent park, providing direct connection to the passengers of Lines 3 and 4. The 11th Station – “Kaissariani” – is located at the junction of Ymittou Street with Ethnikis Antistasseos Avenue. The 12th Station – “Panepistimioupoli” – is located within the Campus of the National and Kapodistrian University of Athens, on the northern side of the inner road artery, in the Municipality of Kaissariani. The 13th Station – “Ilissia” – is located in the area of Kyprou Square and Aornou Sqaure in Ano Ilissia. The 14th Station – “Zografou” – is located in Gardenia Square in Zografou area. Finally, the 15th Station – “Goudi” – in the area of Eleftherias Square and Loch. Spiliopoulou Street. In an eventual future extension of the Project, the Line will continue to the North and will intersect anew with Line 3 at “Katehaki” Station, where there is space available (surface parking facility next to the existing station) for the construction of a new station that will be connected to the existing one. Sepolia Depot / Secondary Workshop: It is stressed that, in accordance with Law 3481/2006 FEK 162 Α/2-8-2006 (Amendments to Legislation concerning the National Cadastral, the Award and the Execution of Works and Designs Contracts & Other Provisions) and on the basis of paragraph 3.1 of Article 9, “The overall and unified alignment of the Athens Metro underground project, its stations and its underground or surface repair workshops – depots and shafts, as they are and will be built, is presented in the maps of the Annex A’ of this Law”. Sepolia Depot includes the modification and the extension of the existing trackwork in strict adherence of Article 9, Law 4014/21.9.2011 (FEK Α’209/2011) and of the relevant paragraphs 1 and 2, as an Existing project and activity with no environmental terms. Article 9, paragraph 1, stipulates as follows: “Upon the relevant request filed by an agency of an existing project or an activity falling under category A or B, concerning its modification, improvement, modernization or extension, which is not accompanied by any environmental terms or has been constructed in violation of approved environmental terms – a fact that is proven – until the publication of this law, can be environmentally licensed in its entirety on the basis of the provisions of this Law”. In accordance with the aforementioned legislation and paragraph 2, Article 9, the procedure related to the Decision for Approving Environmental Terms was implemented to this Project, further to the required consent of the Council for Environmental Licensing at the Ministry of Environment, Energy and Climate Change level for projects or activities falling under sub-category A1, into which this project under design is integrated. Sepolia depot – secondary workshop of the Athens Metro is the only depot of line 2, where provisions are made for the construction of new structures to be situated in an un-built area, next to the road access of the depot. It is connected to the line through two turnouts leading to two single-line tunnels, which are connected as they approach the depot at surface level. Each crossing point of the connecting lines “is oriented” towards Sepolia and Aghios Antonios Stations. In view of performing heavy maintenance and repairing activities of the new trains of Line 4, and in order to satisfy the needs for the extension and expansion of maintenance activities in Sepolia Depot, a new building for trains maintenance and repair will be constructed in an un-built area next to the road access to the Depot to the side of Sepolia Metro Station. This building shall be fitted with new maintenance and repair equipment, which has been determined on the basis of the pertinent operational analysis concerning the needs of the new Line, but also in order to optimize the productivity of the train maintenance procedures in the Depot, which become more and more demanding. It will be a ground floor unified building, constructed as a composite structure (concrete and metal structure) and its total area shall be approximately 5,500m2. A part of the building shall have a 1st and a 2nd floor for offices, while a spare part storage space will be constructed at level -1 of a total net area approximately 1,500m2, which will be served by a special lift for loads. This storage space shall be equipped with industrial type shelves. The scope of the Project also includes the construction of the new Operations Control Center (OCC) building, the construction of the building’s E/M installations and systems, the integration of the new building into the surrounding environment of Sepolia Depot, the connections of the new building with the Public Utility Organizations (PUO) networks, as well as all equipment which is necessary to control and monitor all E/M and railway systems and the operation of Line 4 in general. Water consumption (approximately 911m3/day) is not deemed to be especially high and, therefore, no direct or indirect impact on the existing water supply network is anticipated. The estimated foul water volume during construction is not considerable and it is not expected to significantly burden the existing sewage network. The volume of litter (estimated to 565m3/day) shall not be particularly high as long as the litter is properly managed in terms of collection and disposal and, therefore, this volume is not assessed to have an adverse impact on the surrounding area and the litter management system implemented by the Municipalities of Galatsi and Athens. As regards the total volume of muck resulting from the construction of the tunnels, stations and shafts, it is in the order of 3,001,793m3. The excavation material generated from this extension can be dumped at idle quarries of Attica region, named in the following chapters, as well as at Fyli landfill site (XYTA), on the basis of the Integrated Litter Management System, based on which almost the entire volume of litter produced in Attica region is managed and processed. With regard to the atmosphere, air pollutants produced by the muck and excavation spoil disposal trucks are expected to be low and not affect the air quality in the wider area. According to the preliminary assessments, pollutants from the operation of the worksite are expected to be low and will not burden the air quality in the design area, especially if we take into account their short-term nature. The nature of this Project reveals that its construction is not related to any kind of considerable impact on the climatic and bioclimatic characteristics of the design area. In the Project construction area, natural ecosystems are limited to urban green areas along the alignment, such as Veikou Park, Court House Park, Strefi Hill, Evangelismos Park etc. The expected impact is limited, during the construction period, and mainly has to do with the elimination of greenery in the worksite areas occupied in the framework of the Line extension project. Therefore, potential impact on the environment due to the Project construction can be distinguished into cases where areas of green are occupied for the construction of worksite installations and into cases where the fauna indigenous to areas of the Project and adjacent areas is disturbed. With regard to the first case, the impact from the occupation of green areas is expected to be mildly considerable, because the areas to be occupied are not extensive, the occupation will last only during the construction phase, while the impact itself is fully reversible once the Project is completed. As soon as the works are completed, the Contractor will reinstate the fauna in the worksite areas and, therefore, we do not expect any adverse impact from the construction and operation of the Metro, given that the areas where stations and shafts are to be constructed will be re-planted and reinstated to their original condition in terms of greenery. With regard to the second case, the noise generated from the construction works (worksite operation, heavy vehicle traffic, excavation works etc.) is the parameter expected to affect to a certain extent the functions of the ecosystems in the surrounding area. Thus, the impact on the ecosystems of the design area during construction shall be of a limited scale and is characterized as not important, temporary and partially reversible. The impact from the Project construction on the landscape and the morphology of the design area is mainly associated with excavation works, muck disposal and plant grubbing in the occupied worksite areas. The proposed Project is expected to negatively affect the ground relief and landscape characteristics of the Project area during construction, mainly because of the excavation works for the construction of the stations and shafts. Morphological interventions shall be made to a very small portion of the immediate design area and these interventions are fully reversed after the worksite areas are backfilled and reinstated. Therefore, the impact on the morphological features of the immediate design area are assessed to be mildly important, temporary and fully reversible. Muck disposal to inactive quarries of the Attica region can have only positive impact on the morphological and landscape characteristics of these areas. The reconfiguration of the quarries shall be carried out in line with a special design for the restoration of the area morphology and greenery. Therefore, the impact on the morphological and landscape characteristics is expected to be positive and permanent. Elimination of greenery (parks, squares, traffic islands) in the worksite occupation areas is expected to have adverse impact of low intensity and limited duration, while it will be fully reversible after the completion of the Project. There is no special geological feature in the design area which could be possibly affected by the construction of the proposed Projects. Given that the proposed construction works are mainly underground works, special attention, appropriate equipment and properly trained personnel is required for the execution of the TBM tunnel boring works, because of the extensive length of the tunnel and the alternating geological formations to be excavated, in order to avoid any disturbance or loosening of the overlaying formations and to ensure the safe construction of the Project. In view of the above, the impact on the soil of the design area shall be very limited and moderately important, as well as fully reversible after the completion of the Project. There is a low risk to pollute the ground water table or surface waters during the construction period, taking into consideration the remedial measures described in detail in this Environmental Impact Assessment Study (EIAS). The quantities of the construction materials at the worksites to be incorporated in the Project shall be small and they are not anticipated to induce severe pollution of the water sources. Any pollution due to leakage of engine fuel and oils is expected to be low. As regards the quantity of the water resources, the Project is not expected to have any impact on them during its construction period, given that the water quantities required form the construction works are very low, compared to the capacity of the water supply network. The water pumped from the ground during excavation works is foreseen to be channeled to the network of EYDAP, after being initially treated by a system which will filter solid material, will regulate the water pH and will remove any eventual small quantities of mineral oil residues. No impact on the area’s ground water is expected during the Project’s operation because the Project operates under conditions of complete watertightness. The surface water (discharge – flooding) shall be handled on the basis of special flood protection designs and for this reason no adverse impact is expected. Additionally, there will be no pollution due to leakage or poor maintenance of equipment, since the design of the Project has incorporated the optimum techniques regarding the protection of the environment against leakage (systems to arrest leakage, hydraulic fueling systems etc.). In view of the above, the impact on the water resources of the area from the proposed projects shall be of a limited scale, considering the size of the Project and the proposed measures for the protection of the water sources, and, additionally, this impact is assessed as not important, permanent and partially reversible. The construction of new energy related infrastructure (MV substations) due to increased power demand during the construction of the Project (worksite installations, TBM etc.). Taking the above into consideration, the impact of the Project construction on the pertinent PUO networks is deemed not important, while it will be permanent and non reversible. The impact on the local road network shall be moderately important, temporary and partially reversible. Evaluation of noise limit overruns – as per the applicable legislation – in “OPERATING worksites” and, subsequently, application of the proper noise mitigation measures. It is estimated that noise disturbance due to Project construction shall be higher than the specified limit (recipients at a distance of 10m.). By implementing noise protection systems (removable panels), this disturbance is kept at lower levels. Moreover, the Project construction shall be of a limited duration, a fact contributing to further reducing noise disturbance. Noise disturbance due to the circulation of heavy vehicles is considered negligible. As per the relevant assessments on vibration during construction, the specified environmental limits are NOT breached, as measured at the nearest recipients around the examined worksites, both as regards the Peak Particle Velocity (PPV) (m/sec) and the Vibration Dose Value (VDV), as explained in the relevant chapter. Given the cultural richness in the Athens central areas, the presence of antiquities along the Base Project alignment was a decisive parameter in the selection of the alignment itself and the construction method of Lines and stations. A Detailed Archaeological Documentation Report (EAAT) was drafted by the Ministry of Culture (presented in the relevant Appendix) which was the basis for the selection of the final alignment of this section of the Project. During construction, the Project is not expected to have a negative impact on the existing land uses in the wider study area (residences, commercial or recreational facilities), given that no immediate changes to land usage are expected to take place within the already formulated urban environment. Throughout the construction phase of stations and shafts, the expected impact is mainly related to additional noise and atmospheric pollution in the worksite areas and along the routes utilized by heave vehicles, as well as to the movement of pedestrians, to the operation of certain commercial establishments near the worksites, etc. It must be stressed, however, that the Project construction will be of a limited duration and the worksite areas will be fenced throughout this duration. It is expected that traffic jam conditions will occur around the worksite installations due to the truck traffic, especially during the excavation and concreting period. Another source of potential problems is the parking of vehicles serving the worksite functions. The above impacts, however, shall be reversible and short term and they will be addressed by means of suitable traffic arrangements during construction, as they are presented in detail in chapter 5. Proper scheduling of the works by ATTIKO METRO S.A. (AM) can minimize the above problems. The Metro system does not emit air pollutants during its operation and, therefore, air pollution is zero. Additionally, the expected long term reduction of daily traffic loads due to the Metro operation is estimated – based on the current experience – to improve the atmospheric conditions in terms of air pollutant concentration. Even in areas where traffic loads are not significantly reduced, it is stressed that, in comparison with the anticipated increased pollutants during the specific time horizons, the operation of a new fixed route transport mode can be a restraining factor, keeping the pollutants at levels lower than the levels anticipated if the Project were not executed. In the framework of the Project, there was a comparative study as to the concentration of basic pollutants at the road network around stations, on the basis of two distinct scenarios, i.e. WITH and WITHOUT the Project, and according to a special pollution model. In comparison to the existing situation, the Project’s operation is expected to have a positive contribution in the reduction of atmospheric pollutants and energy consumption. The water consumed during the operation is foreseen to be discharged in the sewage network of EYDAP. Drainage water from the tunnel, the stations and the shafts shall be channeled either by gravity or pumping to the existing rainwater and sewage networks using the appropriate water ducts. It is estimated that all liquid waste shall contain mainly organic material, bacteria and detergents/other organic compounds and minerals (certainly in small concentrations). This composition is not that different than the composition of the wastes ultimately discharged to the sewage network. The impact on the network and the final waste recipient shall not be important, given that the addition of the above waste water shall not change the nature of the urban waste water. No adverse impact is expected during the project operation phase on the physical and chemical characteristics of the soil. The project shall be operating in fully watertight conditions (as per its specifications) and thus no leakage to the surrounding rock mass is expected. In general, no adverse impact on the flora and fauna is expected during the Project operation, given that the area around each station and shaft shall be fully reinstated upon completion of the construction. Should the need arise to plant the exterior areas of the stations, indigenous plant species must be utilized, ensuring at the same time their proper and regular care. The estimated quantity of litter per station is around 6,214 kg/day for all stations, presuming that the Operations Company will correctly organize and place the litter bins (proper number and capacities at the proper locations). For the dumping area, the additional litter volumes shall be negligible, since the aforementioned quantity does not essentially increase the daily collected and dumped quantities of litter. The utilized chemical substances which are deemed hazardous as per the EU and Greek legislation shall mainly consist in lubricants for the trains, batteries and oil-by products retained in oil separators, while special provisions shall be made for on site control and handling. The operation of the new extension is not anticipated to burden the acoustical environment throughout the road network under examination WHETHER the Project is commissioned or NOT within the time period 2020 under examination. On the contrary, noise pollution is slightly reduced on the road network studied around the stations accompanied with an additional positive impact in terms of improved traffic, velocity, the use of horns etc. With regard to vibrations, further to the relevant analysis during project operation, it is concluded that in Line 4 “bibloc unballasted track” regulatory foundation system of STEDEF type, whose characteristics are described in chapter 6, meet the relevant criteria except for the following cases: a) with regard to the locations of the turnouts (keys – locks) at segment 58 (Building of the Students’ House of the University of Athens, Akadimias and Ippokratous Streets), segment 65 (Building on 47 Akadimias and 12, Sina streets) and segment 88 (Greek Parliament), in accordance with the results of the related study entitled “NOISE & VIBRATION STUDY FOR FLOATING SLAB IN DIRECT FIXATION TURNOUTS – CASE STUDY: NATM TUNNEL SOIL II – SEGMENT 33 – STAVROS EXTENSION” and the updated results of the relevant measurements executed at VAE type turnouts in operation, and b) with regard to segment 25 (Attiko Therapeftirio) and segment 59 (University of Athens), the current estimate does not call for the application of a floating slab; however, due to the relatively increased values of the level, it has been assessed that the estimate needs to be confirmed through on site measurements of the propagation of vibrations, that can be performed after tunnel boring and by means of the “muck train” as a linear source of vibrations. Detailed data are provided on the “Design of Airborne Noise and Vibrations induced by the operation of Metro Line 4: Alsos Veikou – Goudi” included in the Annex of this EIA Study. The locations of the turnouts (locks) at segments 138, 140, 146 in accordance both with the relevant results of the study entitled “NOISE & VIBRATION STUDY FOR FLOATING SLAB IN DIRECT FIXATION TURNOUTS – CASE STUDY: NATM TUNNEL SOIL II – SEGMENT 33 – STAVROS EXTENSION” and the updated results of the corresponding measurements executed in turnouts in operation of VAE type. In these locations, the implementation of a floating slab is required. With regard to the locations With or Without Turnouts – segments: 8, 24, 25, 31, 58, 96, 97, 98, 99, 129, 134a, 148, 149, 152 and 153, due to the relatively increased values of the level and the possibility of the limit being converged or exceeded, the estimate must be confirmed with on site measurements of the vibrations’ propagation after tunnel boring using the “muck train” as a linear source of vibrations. In particular with regard to the sensitive health indices (25 and 48) and the special uses (152 – Greek Parliament), it is proposed to implement floating slabs irrespective of the results of the aforementioned measurements. It is noted that the appropriate configuration of the floating slab for segments 138 to 140 shall also cover any eventual requirement in term of segments 96, 97, 98, 99 and 134a. Concurrent measurements of the vibration speed level in all locations with floating slabs (tunnel invert or tunnel wall) and at the most adjacent receivers (residencies), in order to ascertain their efficiency. The Metro operation is not anticipated to cause problems to the road network of the area nor to the Public Utility Organizations networks. Urbanization along with the steep increase of the population in cities gave rise to new needs for transport. To this end, the field of the Public Transport Means was developed, in particular the urban railway modes, such as the Metro. The urban railway is the railway system covering the transportation needs within the city boundaries. Urban railway systems include the metropolitan railway (metro), the light Metro, the tramway and the trolley – buses. In particular, the metropolitan railway or the Metro runs on an isolated corridor that it is mainly underground, while – rarely – it runs at surface level and on an elevated track system. The Metro is the ideal mode of transport for cities with a population greater than one million inhabitants, namely cities presenting major transportation needs (Kadi, 2004). One of the basic incentives for constructing the Metro network in Athens was to reduce traffic in the city center that would, in turn, ensure improvement of the environmental conditions. The planning options for this project correlated with its environment aspect were ultimately intended to protect, reconfigure, upgrade and reveal the natural and manmade environment and landscape of Attica region, as well as to combat pollution by integrating the environmental “dimension” in all individual targets and measures. With regard to the construction phase, prior to the commencement of the construction works, a well-documented plan for worksite management and emergency response should be prepared detailing measures during construction pertaining to the protection of environment, safety measures for workers and safety measures/procedures in case of emergency or accidents. The Contractor should implement a heavy traffic plan and other traffic measures. In view of ensuring the quality of the acoustic environment and air quality in the project area during construction, all general measures should be implemented for covering piles of materials, water sprinkling, truck covers, control and maintenance of machinery and vehicles related equipment, placing noise barriers where works causing noise disturbance are being executed, avoiding executing works at the peak of tourist season, etc.. For the protection of surface and ground water, all machinery should be washed in a designated area with the suitable inclination, while wash water should be collected through a collecting duct in a designated settling tank. Note that all general measures governing worksites shall apply. During the project operation phase, when the project is fully developed, any liquid, gas and solid waste deriving during project operation should be properly collected, transported and managed. The project at its full development presents no irreversible impact on the natural and man-made environment on condition that during its operation effective and overall compliance is ensured with the applicable legislation, which is revised at regular intervals in order to integrate new directives issued by international organizations for the protection of the environment. Easy transports, time saving trips, safe transports and air pollutants reduction are factors that will improve significantly the quality of life of the residents in the design area and in the wider area of the urban complex of Athens. The social and financial impact of the designed extension on its directly adjacent environment are anticipated to be equally advantageous and visible in the long run. Upon completion of the project, the Metro shall be underground. Thus, there will be no impact in terms of visual aesthetics for the surrounding communities. The tunnel portal shall be designed ensuring minimum visible mass, length, width and height. Station entrances shall be designed to be identical, facilitating passenger circulation, while they shall be easily identifiable as integrated parts of the Metro system. The introduction of the Metro system as a fixed track mode in the wider area extending between the city center and Galatsi aims at attracting as many passengers as possible currently traveling to/from the Athens center using other transportation modes. In this way, the Metro system shall contribute in redefining transportation modes, reorganizing the Means of Public Transport and mainly in reducing the circulation of private vehicles, a fact that will eliminate in the long run traffic congestion in the wider area. 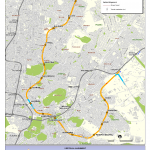 The implementation of the project shall have a beneficial effect while the designed extension is expected to have positive impact on traffic in the directly adjacent and wider project area, since once commissioned, the extension is anticipated to reduce the total time for transportation within its influence zone, decongest the road network, ensure better allocation of the traffic loads to/from the center of Athens – in combination with the Metro Base Project – reduce air pollution and improve the acoustic environment, thus, enhancing in an undisputed manner the quality of the environment and the life of the citizens.